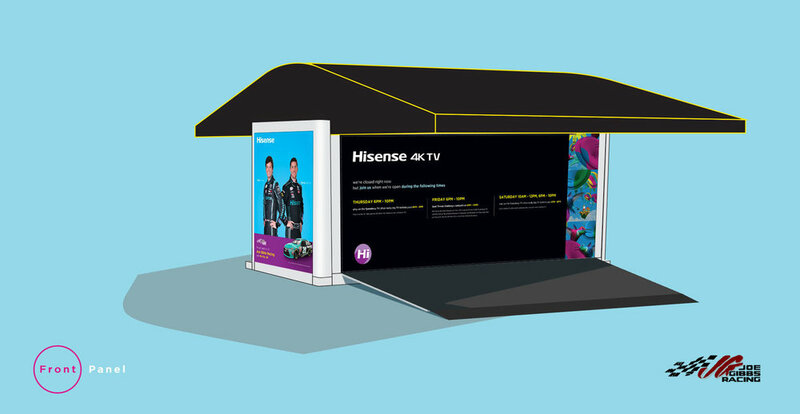 This project was designed for a Nascar event (Hisense Dual Threat Challenge) in Charlotte. During the Nascar weekend, chosen fans met with Nascar drivers (Erik Jones and Denny Hamlin) from the team-Hisense. They formed a squad and played a video game against their rivals. A Hisense Twitch channel page was set up to live stream the event.